In fact, they are very similar to your local electric power plant - just on a much smaller scale. Larger portable generators - surrounded by a protective steel frame - are commonly seen in the back of pickup trucks headed to the next construction site or outdoor event. When you hear the phrase "camping generators," you might think "loud" and "annoying." Not anymore. New inverter generators are basically the broadband replacement to old conventional camping generators, which are now as unpopular as dial-up internet service. Recreational generators are great for tailgating or camping. A power outage, however, is no picnic. Small models will only power an appliance or two. Plus, you'll need to refill their small gas tanks every few hours. 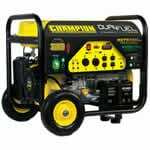 Emergency generators, however, feature larger and more powerful engines designed to restore power to mission critical appliances like refrigerators, sump pumps, televisions and lights. 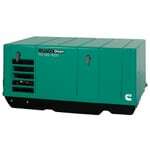 In addition, emergency generators come equipped with larger gas tanks designed to run hours without interruption. 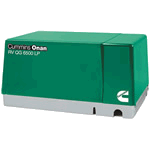 While not quite professional grade, these generators are durable yet affordable. 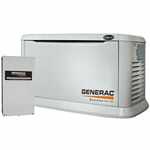 Semi-pro generators are popular among homeowners with high-end taste and contractors with frequent power needs. With high-quality engines and durable components, semi-pro generators are equally capable of restoring power to a home from a blackout as they are powering tools on a job-site. While they may not have all the bells and whistles found on professional models, these are heavy duty generators. If you'll be using your generator exclusively on a job-site, get a professional model. It's not uncommon to see a professional portable generator attending a tailgate party or rescuing a homeowner during blackout. You won’t, however, find professional-grade generators rusting outside your local hardware store. These serious-duty generators are built in limited quantities for professionals, who recognize that quality doesn’t come cheap. 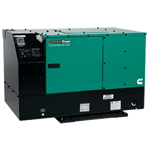 Professional generators are constructed with commercial-quality components designed to run a full shift on a daily basis. Basic features – like hour meters, lifting eyes and GFCI outlets – aren’t accessories. They’re necessities. Instead of waiting for the utility company to restore power, people are taking matters into their own hands to insure their investments from financial disaster caused by prolonged power outages. 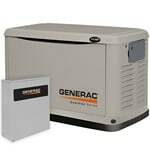 One of the biggest misconceptions about home standby generators is that they restore power to the entire house. In reality, these air-cooled systems generate 8-22 kilowatts capable of energizing 8-16 circuits in your electrical panel. Newer – and more expensive models – come equipped with an intelligent automatic transfer switch than can actually restore power to your entire panel… if you limit your energy consumption. Yes, home standby generators will get you through the storm, but parts of your house may still experience a mini-blackout. The term "whole house" really depends on the size of your house. If you want to power a doghouse, a small camping generator will work. If you own a luxury home, you'll need a massive generator. Whole house generators feature powerful engines that use pure brawn instead of brains to power … surprise … the whole house. Normally, commercial-grade equates to a higher standard of quality. 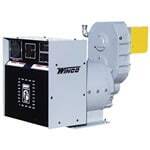 Commercial generators, however, are built with the same high-level components as whole house generators. Their application is what truly sets them apart. Instead of powering residential homes, these liquid-cooled giants are designed to power industrial parks and manufacturing centers, demanding huge draws of electricity to operate. Commercial standby generators are built-to-order based on the wattage AND voltage requirements of their final destination. Recreational vehicles give you the freedom to tour the country side without actually "roughing it." While small recreational generators are great at blending margaritas, RV generators energize entire motor homes, including air conditioners. 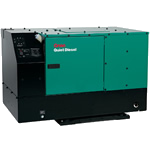 RV generators come in different styles designed to run on different types of fuel. Make sure you select the one that's most compatible with your RV and that will meet your personal travel expectations. If you are replacing an existing RV generator you will need to know what fuel type you currently have. Also be sure to take measurements in the generator compartment of your RV to make sure you select one that will fit. Liquid propane is an environmentally-friendly fuel choice with cleaner emissions, and a longer shelf life. The downsides however are that the run time is limited to the size of your propane tank and the power output tends to be reduced by around 10% compared to gas or diesel. The downsides, however, are that they're highly flammable, their fuel has a shorter shelf life, and they burn through fuel much more quickly than a diesel. Is an RV generator lacking in power for what you need? If it's going to be used on a regular basis for extended amounts of time, you may want to step up to a commercial model. Commercial mobile generators are the ones you rely on for commercial and large-scale emergency services. They're rugged and designed for the toughest of conditions. These are the mobile generators used by telecom workers who repair the power lines, they're the generators used for emergency response vehicles that need to provide lighting, communications, and medical care on the spot. A popular use today for commercial mobile generators is powering food trucks. Food trucks are rapidly growing in popularity, offering the ability to reach a wider market with less overhead costs than a brick-and-mortar location, and these generators offer reliable power for all of your on-board appliances day after day. Typically, motorized RVs already have a built-in system that complies with these regulations, but most tow-behinds don't. The towable RVs require that you install an EVAP generator, certified hose, special fittings, a specially designed metal tank, and a carbon canister. If your system is missing any one of these certified EVAP components, you'll be subject to a hefty fine should you get stopped and inspected. So unless your gas RV generator pulls its fuel from the chassis fuel tank, you'll want to be sure you're compliant on the roadway so you don't get stuck with a major fine.